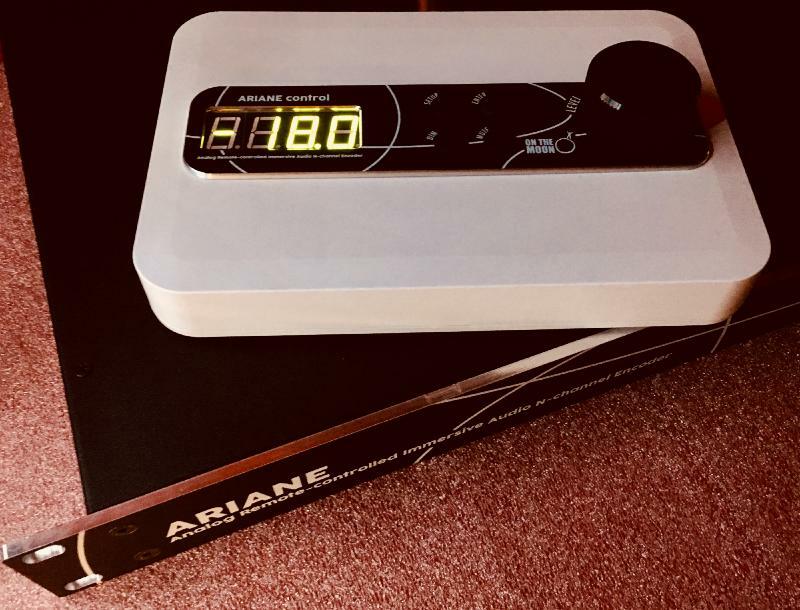 The OnTheMoon ARIANE is an analog volume control system for immersive audio. It can be built to specs for the required number of channels, from standard surround to 16 channels or even more ( 9.1 version shown below ). The OnTheMoon ARIANE is available worldwide via Joystick Audio .